ASTM A312 TP317 Stainless Steel Seamless Pipes and Tubes with required test certificates. 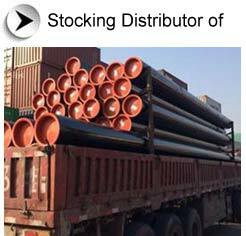 You can also Order small quantities, we will be happy to quote best price for small and large quantities & can typically deliver the ASTM A312 TP317L Stainless Steel Seamless Pipes and Tubes in minimum time frame anywhere around the globe. Aesteiron Steel Pipes & Tubes division is India's first manufacturer & supplier of ASTM A312 ASME SA312 317 Stainless Steel Seamless Tube who is selling steel pipes & steel tubes online. The buyers can easily compare price, hardness, chemical composition & mechanical properties on our ecommerce website for all types of industrial steel pipes & steel tubes. We have a large range of ASTM A312 TP 317 Stainless Steel Seamless Pipe available either ex stock or from our overseas suppliers.